People, people!! 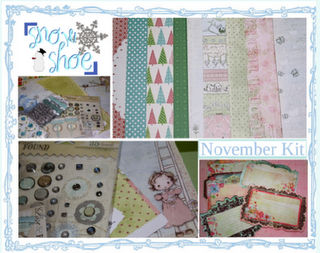 Pixie Dust Paperie is giving you a chance to win this lovely Pixie Kit – Snow Shoe November Kit just for helping them spread the word about them! 2. Post on your blog about this giveaway with a link back to them, go back to this page – Pixie Dust July Kit preview and tell them about your post and you’ll get another chance. This giveaway will run from 30 June till 18 July. A winner will be selected randomly and announced on 20th July at The Pixie Blog. Come one scrappers and cardmakers, who knows you might be the lucky one!! Hi Farah – thanks for your support for our new challenge blog!!! Spread the word.